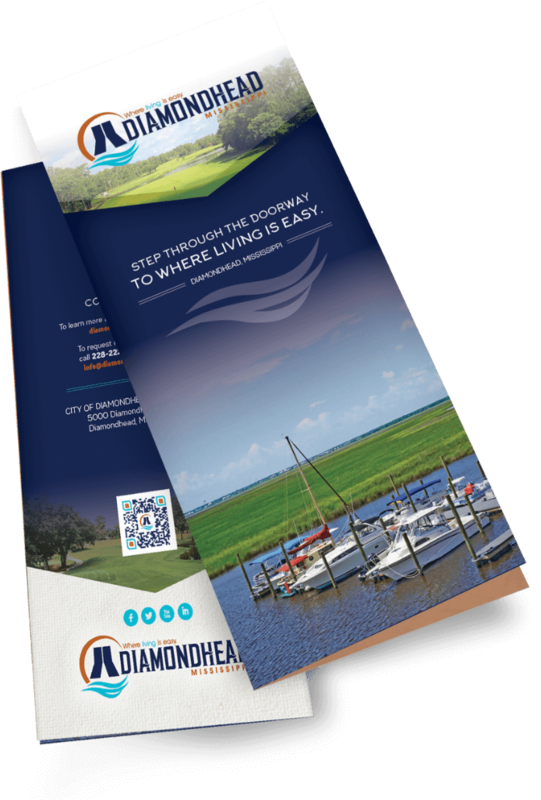 The City of Diamondhead, long known as an outstanding community for retirement and leisure, was in need of a brand refresh to attract a broader demographic to the City for tourism, family relocation and economic development. The objective was to position the City as a great place to live and work, especially for younger families. We performed focus groups with stakeholders and citizens, and created a more contemporary brand persona and logo within the historical identity of the City. A comprehensive website was created and optimized for mobile to promote tourism, relocation and economic development, as well as be a services resource for residents. 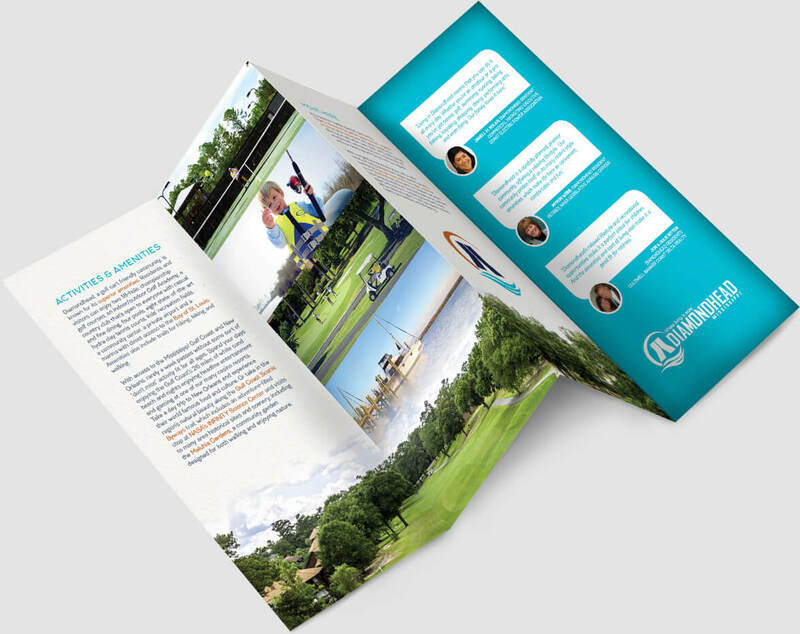 Additionally, social media, collateral and other promotional materials were used for a comprehensive approach. The City challenged our team to update their logo while maintaining the historical elements for the original design. Focus groups were conducted with city council, mayors, business owners, and residents to gauge perceptions which would aid in creating the new brand identity. The result is a modern logo using a custom font and more modern color scheme. A new responsive and scalable website was designed with an improved user interface and streamlined navigation. An interactive voting map was added, along with all pertinent city forms able to be filled out online. The new brand was applied to all marketing materials including a new rack brochure and social media profiles. The new, modern brand was well received by residents and tourists alike. The website is a centerpiece for promoting all the city has to offer for tourists, residents, and prospective residents. Social media has become a highly utilized marketing tool for city promotion.